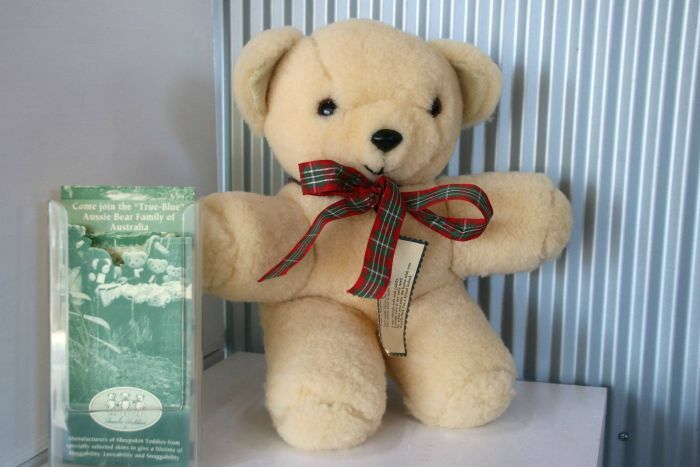 The History of Tambo Teddies and our Famous Teddy Bears. The Birth of our Famous Teddy Bears. Back in 1992 wool prices had crashed, the district was in the grip of a drought and the community of Tambo were challenged to come up with new industry to sustain the economy of this little town. A brain storming session during a workshop developed the idea that Tambo could assist the wool industry, encourage tourists and create employment by making unique teddy bears from wool pelts and stuff them with wool. Popular opinion said it wouldn’t work, but after many laughs, three women – Mary Sutherland, Charm Ryrie, and Helen Sargood – decided to bite the bullet. After many frustrating months of designing and planning, the first Tambo Teddies were ready for sale in February 1993. The impact and enthusiasm of the public was overwhelming and the business grew from there to employ over fifteen part time workers. Tambo Teddies take pride of place in homes all over the world our famous teddy bears have made our little town of Tambo the ‘outback Teddy capital of Australia’. 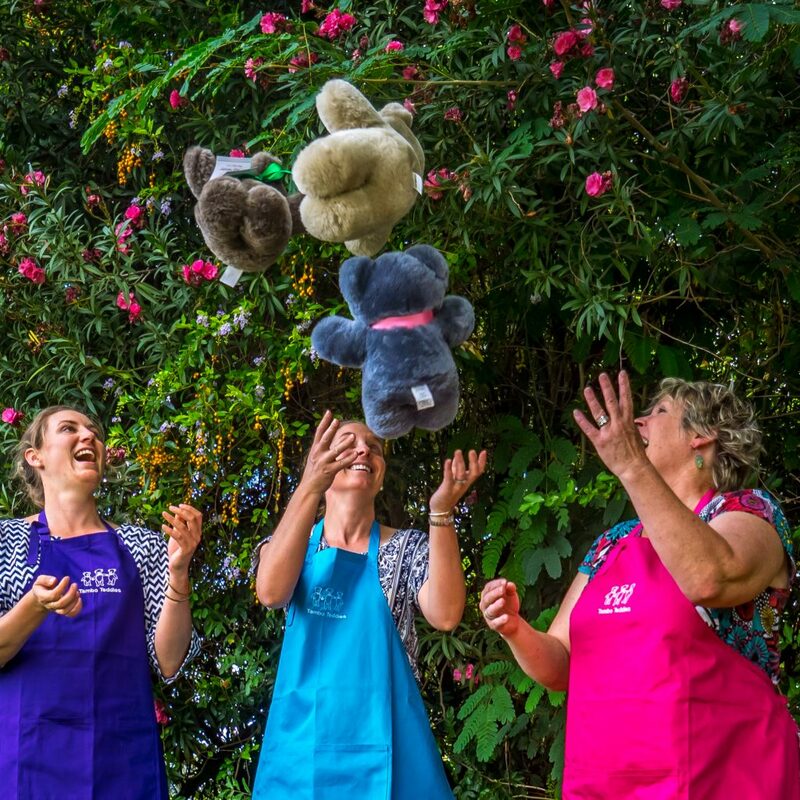 After more than twenty years sewing bears and managing the business, the remaining director, Mary decided to it was time to retire. Wishing to only sell to a local, Mary was delighted when in a unique synergy, three more local ladies decided to purchase this iconic business. 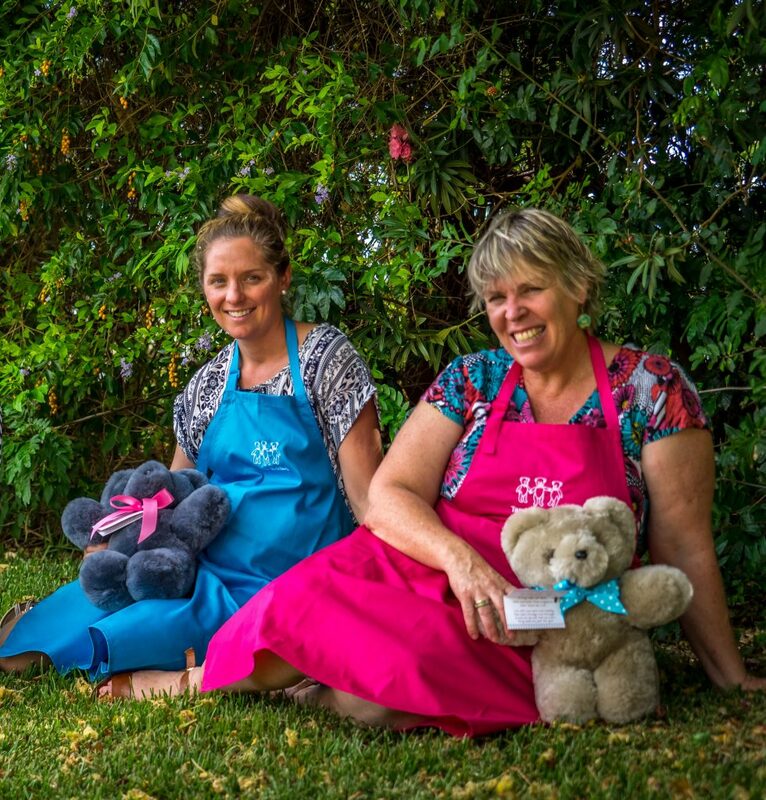 Three new women took up the reins of Tambo Teddies in 2014! Kiralee, Tammy and Alison, two teachers and an arts and cultural officer who got together and made the decision to take up the challenge of continuing the Tambo Teddy tradition. We have had a lot of laughs, enjoyed the adventure and are proud of what we have achieved. We have renovated, won a national competition and provided gifts for Royalty, Premiers and Ministers. Tambo is very important to us all and Tambo Teddies is very important to Tambo. We are proud to be the owners of this unique business, it is in safe hands and we are always looking forward to the next adventure. After four years, Kiralee decided it was time to leave Teddies, so that she can spend more time enjoying the joy and new journey of family life and helping where she can with the property work. While we are sad she’s left, we have had loads of fun and laughter, and are looking forward to the next stages of our Teddies adventure.